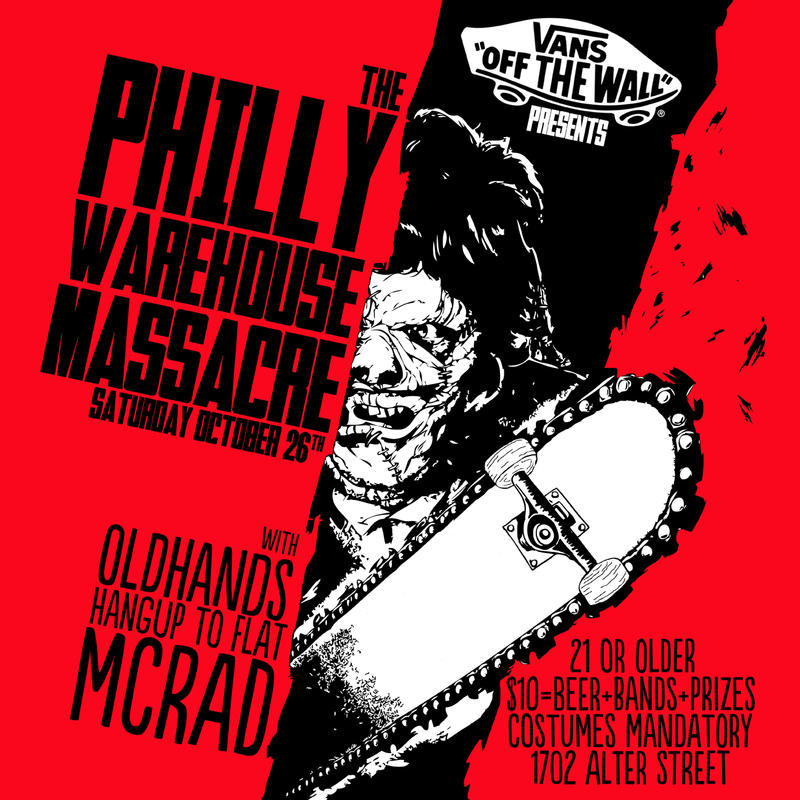 This Saturday is the Annual Halloween Party at the Philly Warehouse spon­sored by Vans! Old Hands, Hang Up to Flat, & McRad (goes on at 9) will be play­ing. 21+, $10=beer+bands+prizes. Costumes Mandatory (my pre­dic­tion, lots of peo­ple dressed as kooks). 1702 Alter St. Saturday October 26th, 2013, 8 til mid­night! Be there or be scared!